These Favor Cakes are ready to ship! 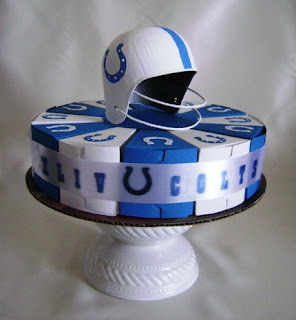 Support your team with these unique centerpieces by Favor Cakes. Each cake includes twelve, handmade cake slice boxes and a decorative board. Fill with your favorite game day treats and let your party guests enjoy. Simply pull each cake slice out when you're ready to pass out the favor boxes to your guests. 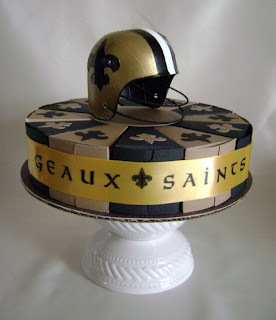 Perfect for your Super Bowl bash!